Recent advances in data capture and data storage technologies have resulted in producing massive data sets in various application domains. These advances have also resulted in a growing gap between technological possibilities of gathering and storing huge volumes of data and user’s ability to understand and efficiently analyze the collected data. Many companies and organizations gather petabytes and exabytes of business transactions, pictures, scientific data, text reports and documents, which are simply too large and too complex to efficiently support decision making processes. On the other hand, traditional data analysis techniques and querying models are not appropriate to extract useful knowledge hidden in massive data sets that can be used to support decision making. Data mining is a relatively new research area of data analysis which aims at nontrivial extraction of implicit, previously unknown and potentially useful information from massive repositories of data. Data mining can help answer business questions that were too time consuming to resolve with traditional data analysis techniques. Nowadays, the intensive development of data mining techniques results mainly from the rapid growth of new types of data generated and collected by different application domains: pictures, films, music, maps, time series, DNA sequences, chemical structures, documents, social networks, etc. The course is intended to provide a comprehensive introduction to basic data mining methods and algorithms from the algorithmic point of view. The course covers basic data mining methods like association analysis, sequential pattern discovery, classification, and clustering. For each of presented methods, basic representative algorithms are presented and discussed. The presentation of algorithms is illustrated with a set of examples. More information can be find in ZEUS. Erstmalig findet vom 21-24 Februar, 2017 die 24th IEEE International Conference on Software Analysis, Evolution, and Reengineering (SANER 2017) in Klagenfurt statt. SANER ist die führende Konferenz auf dem Gebiet der Analyse, Evolution und dem Reengineering von Softwaresystemen, an der jährlich mehr als 150 Wissenschaftler und Experten aus aller Welt teilnehmen. Die Bandbreite der behandelten Themen reicht von Software Analytics über Source Code und Model Analyse, Code Smells und Refactoring, bis zu Analysemethoden des Energieverbrauchs von mobilen Applikation. Weitere Details finden Sie hier Info Saner 2017 oder auf der Konferenzhomepage SANER 2017.
ihr wollen Eure studentische Arbeit oder Projekt einem größeren akademischen Publikum vorstellen? Dann reicht bis zum 2. Mai 2016 einen Beitrag auf der Studierendenkonferenz Informatik 2016 ein! Die Studierendenkonferenz Informatik (kurz SKILL 2016) richtet sich an alle Studentinnen und Studenten der Informatik sowie angrenzender Disziplinen mit dem Schwerpunkt Informatik. Im Mittelpunkt der Konferenz stehen studentische Arbeiten und Projekte. Angenommene Beiträge für diese Konferenz werden im Tagungsband der Jahrestagung der Gesellschaft für Informatik e.V. (INFORMATIK 2016) publiziert und auf der SKILL vom 29.-30. September 2016 an der Alpen-Adria-Universität Klagenfurt präsentiert. Für herausragende Beiträge werden Preise ausgelobt. Die eingereichten Beiträge können auf Seminararbeiten, Praktikumsberichten, Abschlussarbeiten oder extra-curricularen Aktivitäten basieren und sollten in deutscher oder englischer Sprache verfasst sein. Für Einreichungen muss die LNI Formatvorlage verwendet werden. Der Auswahlprozess erfolgt im Peer Review durch das Programmkomitee. we would like to invite you to the upcoming events of the IEEE Student Branch Klagenfurt. This time we organise twin events where you can learn how to create computer games. Interactive talks will be given by Lukas Knoch and Alexander Kopper. Bring your laptops and gain some hands-on experience by following the step-by-step tutorials included in the talks. In order to get your laptops prepared for following the talk, please install some required software by using this GUIDE. Please install the free version of Unity3D before coming. As usual, some snack and drinks will be provided by the Student Branch. We hope to see you all. 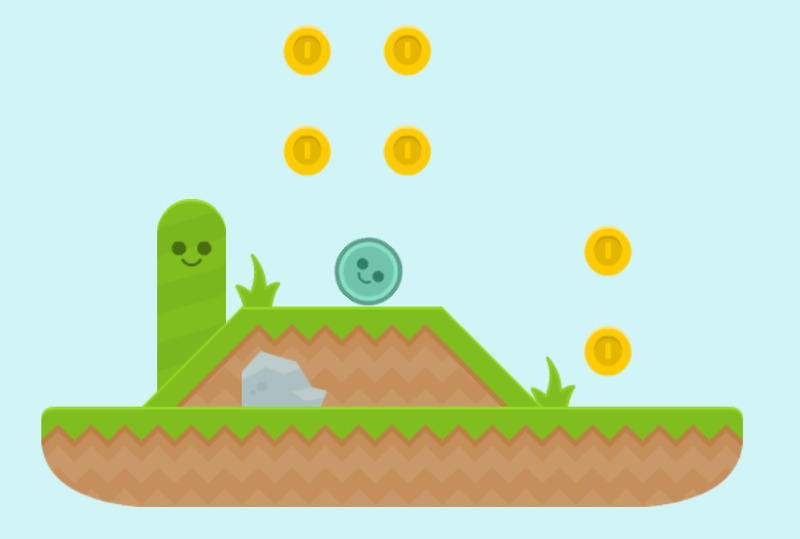 Don’t forget to register for the 2nd Game Jam where you can make great use of your fresh knowledge about computer games. the IEEE Student Branch Klagenfurt is opening the summer semester of 2015 with an exciting Game Night. Participants can play with modern game consoles such as Xbox Kinect, Playstation, and Wii, and a retro corner will also be set up with Commodore 64, Pentium I, and other historical devices. As usual, some beer and pizza will be provided. Furthermore, gamers can challenge their opponents in frame of a quiz and win some valuable prizes. For further information, please check our Facebook Event. Der IEEE Student Branch Klagenfurt veranstaltet einen Fotowettbewerb anlässlich des morgigen Pi Day! Lade deine Fotos oder Zeichnungen in Bezug auf die mathematische Konstante Pi (π) als Kommentar zu unserer Facebook Veranstaltung hoch! Schnell, die Einreichfrist ist schon morgen! The IEEE Student Branch Klagenfurt is having a picture contest in order to celebrate Pi Day tomorrow! Upload your Photos, Drawings or Paintings related to the mathematical constant Pi (π) as a post to our Facebook event! Be quick, the submission already ends tomorrow! 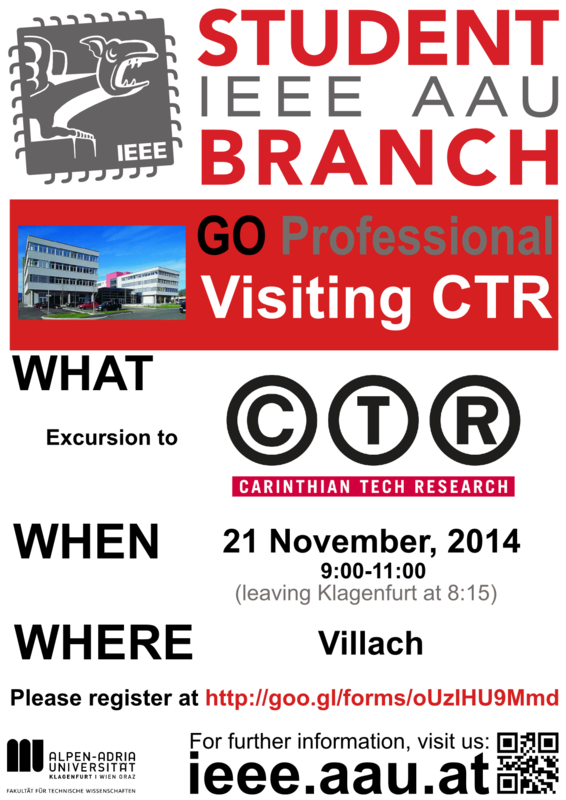 The IEEE Student Branch Klagenfurt is going to visit the largest non-university research centre in southern Austria. Students will get the chance to meet researchers and see their working environment, furthermore they will surely hear about job opportunities. An academic conference in which software engineering educators and industrial trainers meet to present and watch presentations of research papers, panels and keynotes regarding all issues related to SE Education, Training and Professionalism. am Freitag, 19. Oktober 2012 ab 11:15 Uhr im HS B.